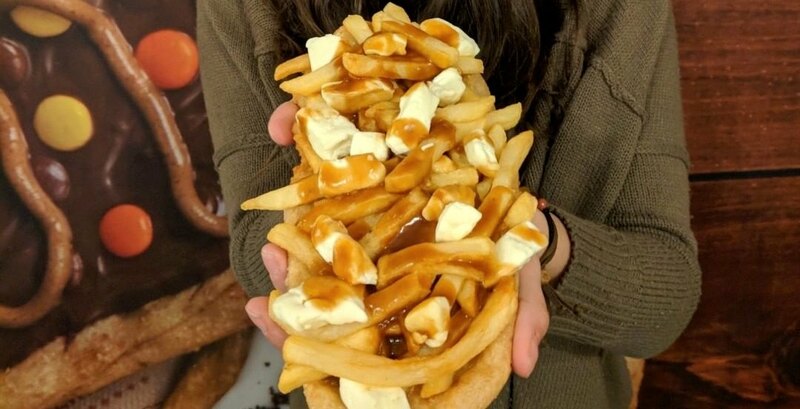 Things are going to get messy next week in Toronto, as BeaverTails are hopping on the gravy train in celebration of La Poutine Week. 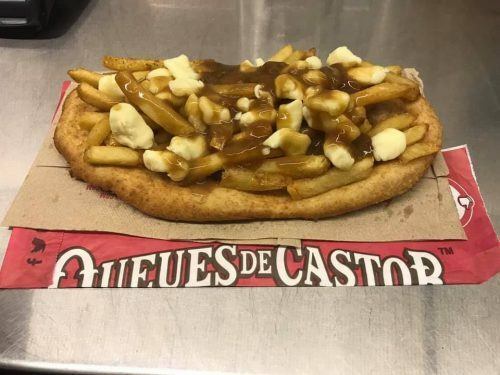 The Canadian-based chain of pastries has created the “PouTail,” a classic BeaverTails dessert topped with the company’s signature poutine. It will be quite possibly the messiest—and most Canadian—meal ever attempted. The BeaverTails chain originated in Ontario in 1978 and creates fried dough pastries of the same name. The Tails are hand stretched to resemble those of beavers. This hybrid dish looks ri-delicious-ly intriguing, and attempting to eat it is going to be a dam good time. The “PouTail” will only be available for a very limited time at BeaverTails Toronto Waterfront from February 1 to 3. So you’d best come prepared (napkins, bib, raincoat) if you want to devour the company’s newest creation. With files from Tyler Jadah.